Outs and pot odds are two very important concepts you need to wrap your head around if you want to do well at poker. These concepts help you to use simple math to understand what your chances are of succeeding in each round. Knowing pot odds in poker will prevent you from making unwise risks. Pot odds represent the ratio between risk and reward in a particular round. More specifically, they give you the ratio between how much money is up for grabs (e.g. in the pot) and how much money you need to risk to have a chance of winning that money. Imagine that 12 chips of equal value are already on the table. Your opponent bets an additional 3 chips. So now there are 15 chips in the pot. To match your opponent’s bet, you also need to risk 3 chips. In this scenario, the ratio between the number of chips in the pot (your potential reward) and the number you need to put forward (the risk) is 15:3 which simplifies to 5:1. So in this case, the pot odds are 5:1. Pot odds when matching your opponent’s bet can be calculated very quickly if you look at the ratio between the original size of the pot and how much your opponent has just added. In the case above for example, the original pot size was 12; your opponent added 3, which is one quarter of the original pot size. When your opponent bets one quarter of the original pot size, the pot odds will always be 5:1. In practice, the most common pot odds you will see are 2:1 (when your opponent doubles the amount of money in the pot) and 3:1 (when your opponent bets half of what is currently in the pot). For example, if the original pot has 6 chips, and your opponent bets 3, you need to risk 3 to win 9, giving pot odds of 9:3 or 3:1. Knowing how to count outs in poker is also a very important skill. Outs refers to the number of cards available that could strengthen your hand. An out is a card still in the pack which could be drawn to increase the strength of what you currently have. For example, imagine you are playing Texas Hold ‘Em. There are three cards currently on the table: two of hearts, three of hearts and king of spades. In your hand you have a five of diamonds and a six of diamonds. If a four of any suit were drawn next, you would have a straight (2, 3, 4, 5, 6). No fours have been drawn yet in this scenario. The are four fours (one of each suit) in the pack. Since any of these four cards being drawn would strengthen your hand by giving you a straight, you currently have four outs. Another example: imagine that on the table you have a two of hearts, a three of hearts and a king of spades. In your hand you have a king of hearts and a ten of hearts. In this case, there are nine hearts left in the deck that would give you a flush if drawn. In addition, the two kings left in the deck could raise your pair to three of a kind. Finally, drawing a 10 would give you two pair, and there are three tens left in the deck. So in this case, you have fourteen outs: 9+2+3=14. Fourteen outs is very good. Generally speaking, having twelve or more outs is regarded as a strong hand. 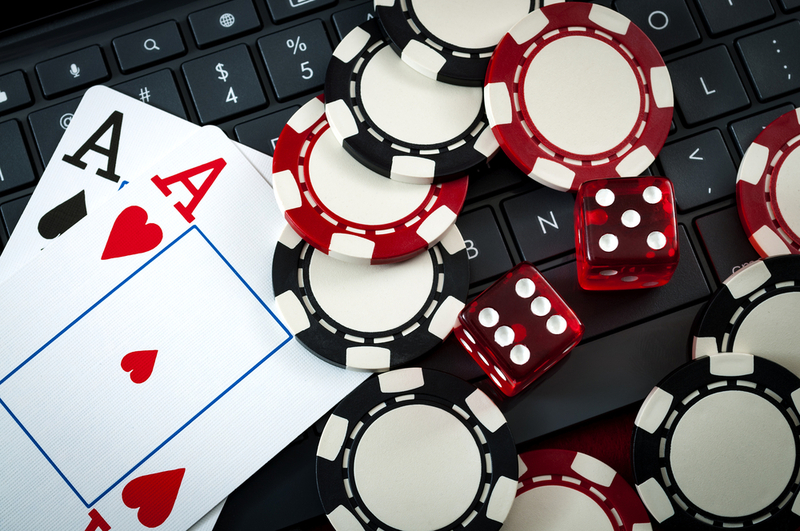 Knowing about outs and odds and how to work them out quickly is crucial for good online poker strategy. Make sure you know how to master these concepts to improve the quality of your own play.